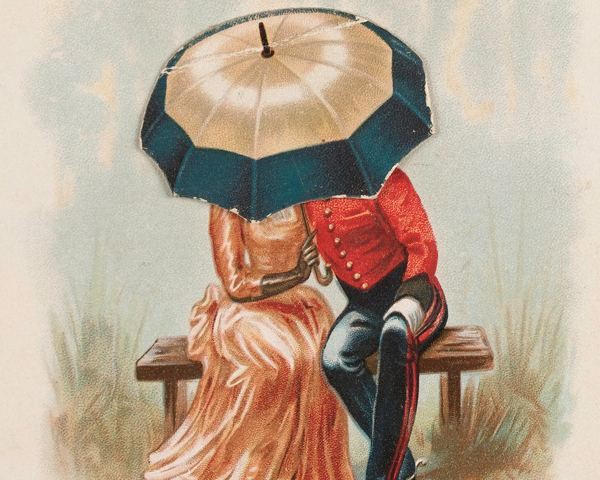 Throughout history, and according to the conventions of the time, soldiers have flirted, dated and courted. Despite the difficulties, relationships have flourished; some casual, others ultimately leading to engagement, marriage and a life together. In some ways, meeting a sweetheart can be easier for a soldier than for a civilian. Soldiers travel across the globe and get to meet all sorts of people. But in other ways, being a soldier can make meeting someone and settling down much harder. Frequent moving, or a posting to an isolated barracks, can take its toll on a soldier’s love life. In addition, a relationship with a soldier naturally brings concern for their safety. Lieutenant Walter Newman (1836-94) was from Yeovil in Somerset. He served with the Royal Artillery from 1855, taking part in the Crimean War (1854-56) and the Indian Mutiny (1857-59). During his service, he wrote a series of love letters to his sweetheart, Emma Montague Browne (1844-1930), from County Down in Ireland. 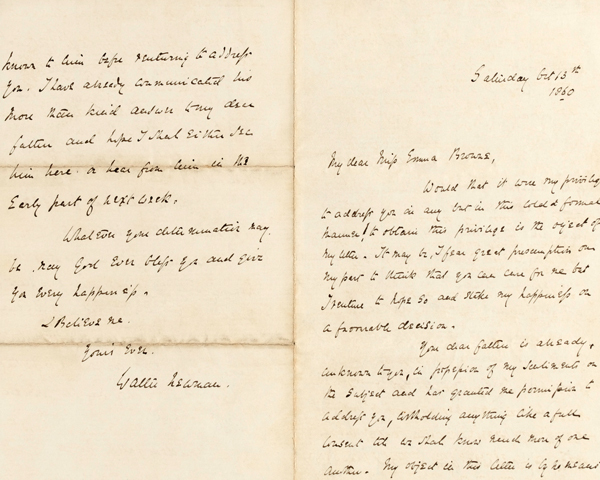 On 13 October 1860, while based in Portsmouth, Walter wrote to 16-year-old Emma, asking for her hand in marriage. 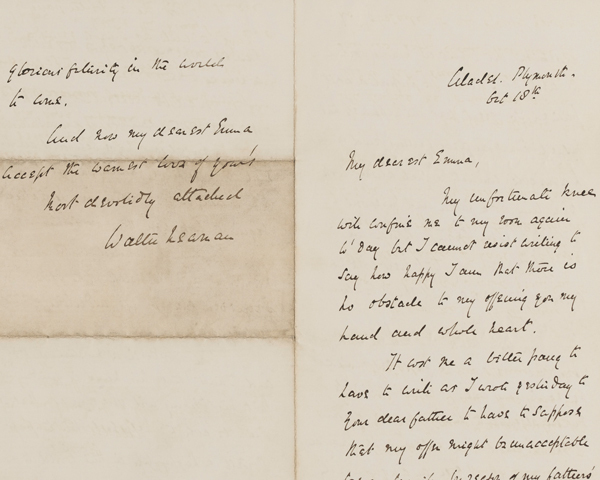 He had asked for her father’s consent, but to brace himself against rejection he wrote: ‘Don’t hesitate to tell me at once if you think that you cannot ever care for me, and may God give me strength to bear it calmly.’ Happily, Emma accepted Walter’s proposal with a letter of agreement. 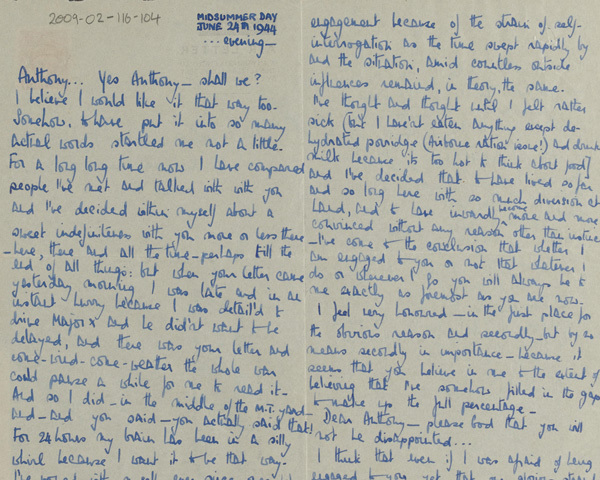 Overjoyed, Walter wrote back on 18 October: ‘I cannot resist writing to say how happy I am that there is no obstacle to me offering you my hand and whole heart.' The couple married in Plymouth in 1861 and had three children: Edwin, Walter and Evelyn. Walter continued to serve with the Royal Artillery until 1887, when he retired with the honorary rank of major-general. Unfortunately, he gambled away his army pension, leaving his son Walter to postpone his marriage to settle his father’s debts after his death. 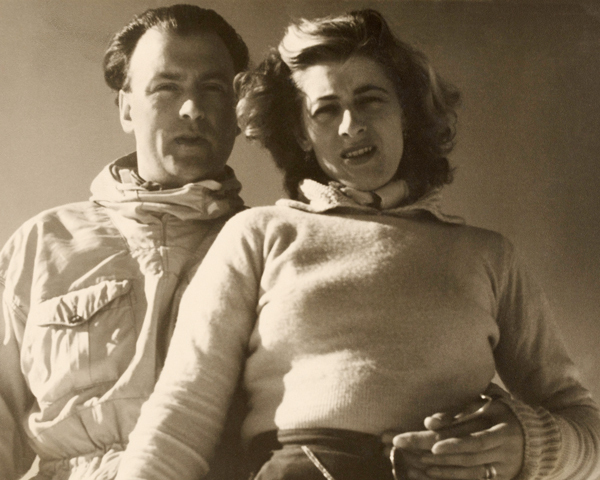 Valerie Erskine Howe (1920-2003) was from Uckfield in Sussex. During the Second World War (1939-45) she was a member of the Auxiliary Territorial Service (ATS). 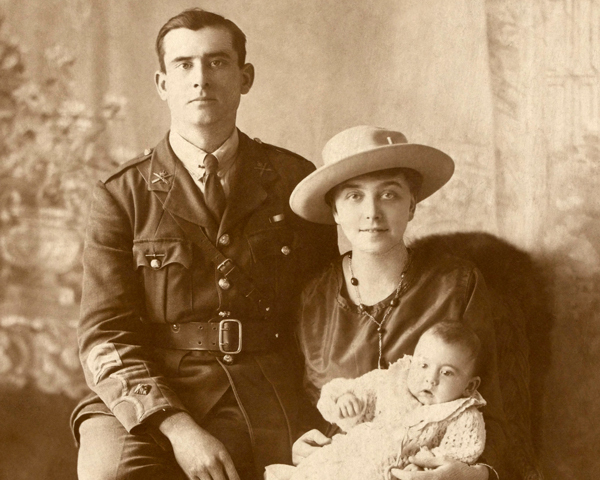 She had met her sweetheart Major Anthony Ryshworth-Hill (1914-84) of the South Lancashire Regiment in Oxford. 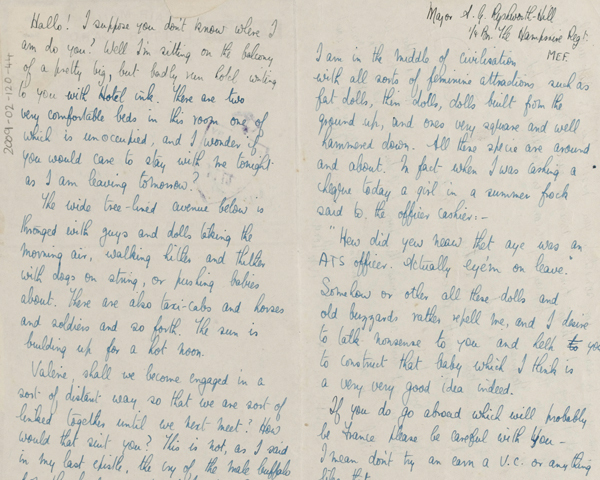 Anthony replied that Valerie’s letter had given him ‘solace and consolation’ while fighting the war. He had treasured the letter covered with the image of her face and kept it in his pocket, close to his heart. The couple married in Hampshire in 1945. Anthony, who had taken part in the invasion of Italy over the course of 1944, was granted leave to return for the wedding. They enjoyed a brief, two-day honeymoon before Anthony had to return to the front. From 1946 until 1964 Valerie accompanied Anthony on all of his army duties, living with him in Ghana and Turkey. Holland ‘Holly’ Chrismas (1890-1964) had joined the army aged 14. He served in France with the 9th (Queen’s Royal) Lancers and the 1st (Royal) Dragoons during the First World War (1914-18). 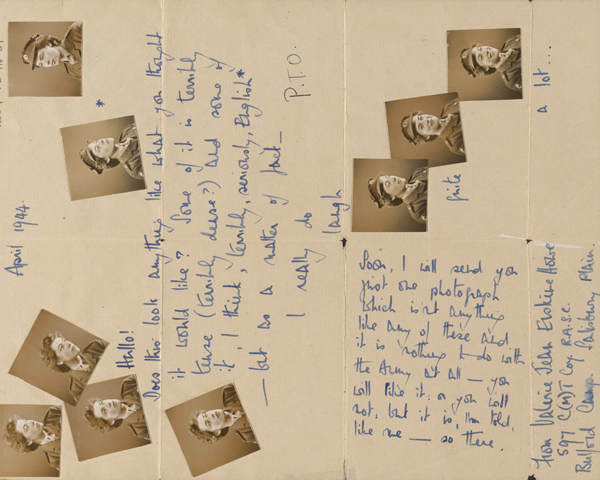 Like many soldiers serving on the Western Front, Holly regularly sent postcards to his sweetheart, Ada Manley. 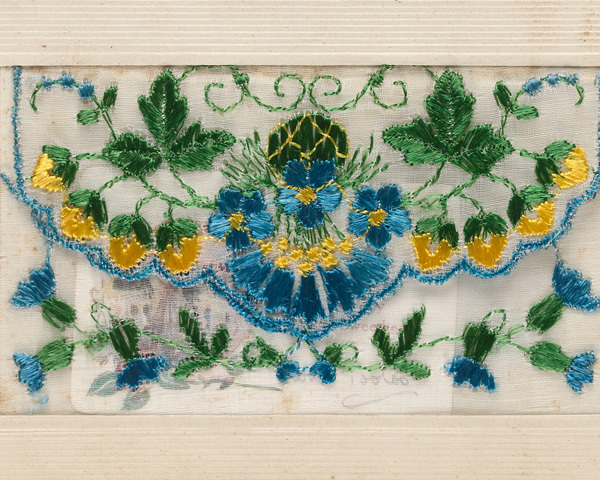 His postcards to Ada were often intricately embroidered or conveyed romantic themes, like beautiful women and flowers. 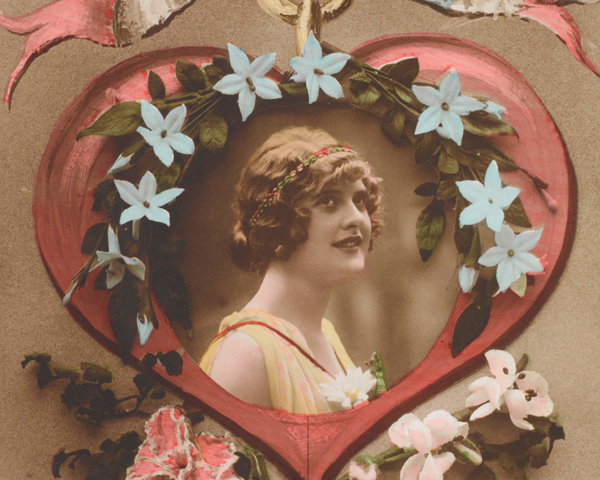 They were also very frequently inscribed with love notes, that even Holly himself described as ‘rather soppy’. Holly had been home on leave on 18 July. The couple had met but evidently had a falling out when Ada had got into a ‘beastly temper’ on the way home. From Holly’s panicked note, it appears the argument had not been resolved before his return to France. 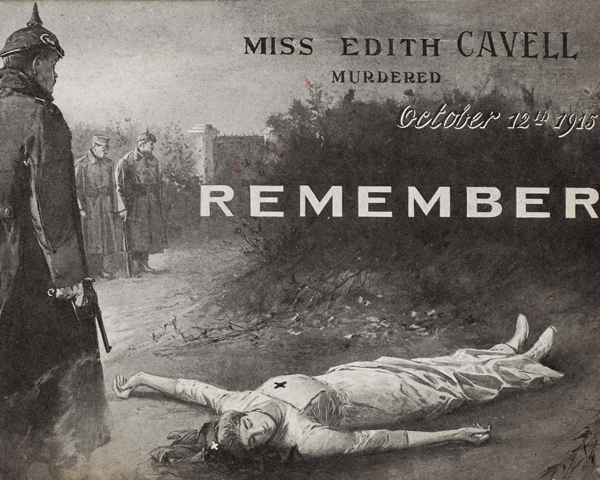 Perhaps he felt the morose image on the postcard reflected the demise of their relationship! Fortunately, the sweethearts resolved their tiff. A few months later, Ada began to write back to Holly. In September 1917, Holly was commissioned as a second lieutenant. He celebrated his promotion by marrying Ada a month later. Their son Eric was born in May 1918. Margaret Waddell joined the ATS in September 1941, during the Second World War. While training in Carlisle she met William ‘Rob’ Robinson, a Company Sergeant Major. Despite an age difference of 14 years, the couple fell in love and agreed to marry the next summer. They planned a traditional wedding in Scotland, with Margaret’s family in attendance. Unfortunately, Rob was called up for duty in May 1942. 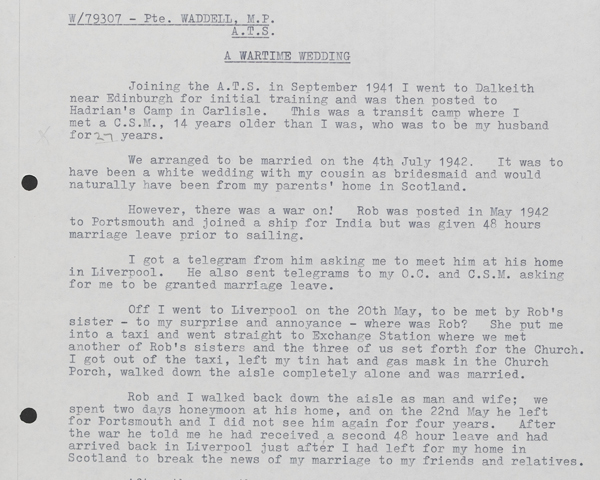 He was to be sent to Portsmouth to board a ship for India, but was given a 48-hour leave pass to marry Margaret. On 20 May, she received a hasty telegram and headed off to Liverpool. On arrival she was bundled into a taxi and the couple quickly married. After a brief honeymoon at Rob’s house, he departed for India. Margaret would not see him again for another four years! 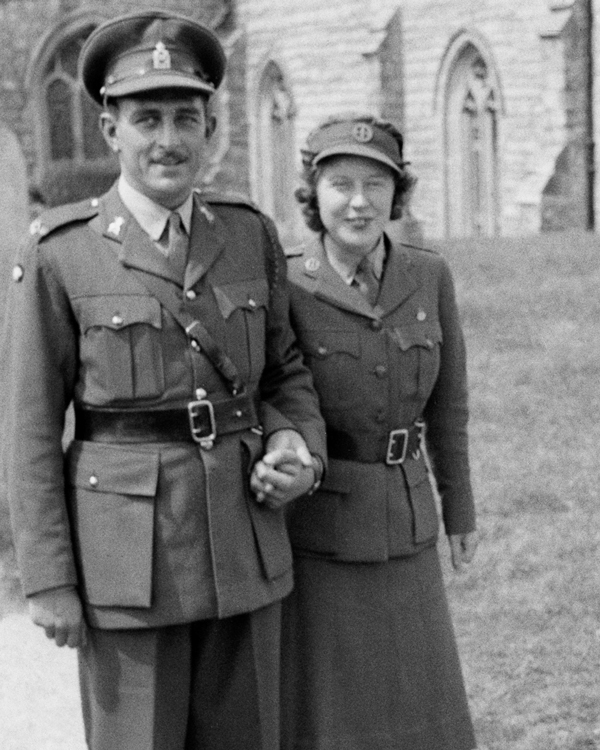 Many Second World War weddings were rushed, last-minute services conducted during brief periods of leave with minimal preparation or decoration. Margaret remained in the ATS until it was disbanded in 1949. Rob returned soon after. Their separation evidently did not affect their marriage, as they remained together for 27 years.